Holly Williams is an American country music artist and is the daughter of Hank Williams Jr. She has released two albums - The Ones We Never Knew and Here With Me. Williams originally signed to Universal South Records alongside such acts as Kasey Chambers, Jewel and Keith Urban and it was under this label she released her first album The Ones We Never Knew in 2004. She released the single Sometimes from her first album in 2005 although it failed in chart. After being in a car crash in 2006, Holly Williams had to take time out from her music and used a year to open clothing boutique H.Audrey in Nashville. H.Audrey is a beautiful boutique which sells lots of different clothes, shoes and accessories. The shop opened in the autumn of 2007 and has been a hit for celebrities and stylists alike. Everyone from Gwyneth Paltrow to Kelly Clarkson has stepped into the coutique. The second floor holds many photographs by famous photographers. 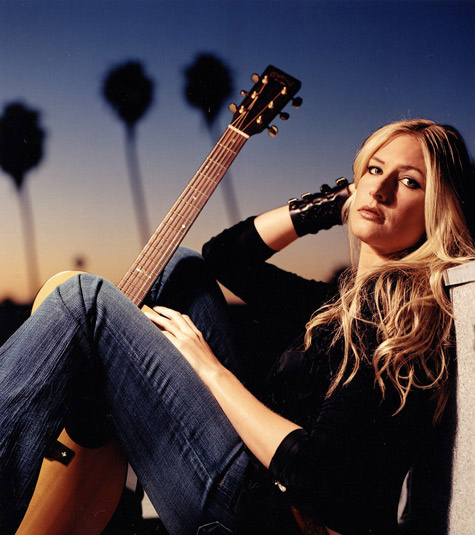 Holly Williams signed with Mercury Nashville Records in 2009 and her second studio album, Here With Me, was released in June of the same year. In difference to her first album, both of the singles from her second album - Mama and Keep The Change - charted at #55 and #53 respectively. The fact that Williams wrote or co-wrote eight out of the eleven songs on the album shows her skill as a songwriter and each song is different enough from the one before which means you can listen to her album again and again and still get a different side of the album. The album as a whole peaked at #37 on Billboard's Hot Country Albums chart. Perhaps my two favourite songs from her second album are Keep The Change and Let Her Go. Keep The Change is very reminisent of Jo Dee Messina. It has a strong beat behind it and is very catchy. Let Her Go is a bit softer than Keep The Change but still has a lot of energy behind it. It also has a lovely story behind it. Keep The Change has received strong reviews from both critics and fans alike when it was released as a single. 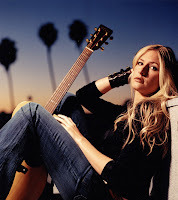 Holly Williams is a very strong musician and songwriter and has obviously grown up in a family surrounded by music. She is also in the process of recording her third album, something I am definitely looking forward to hearing when it is released. Five stars from me! --> Lady Antebellum released their third album Own The Night in the US on 13th September. This won't be available in the UK until the 3rd October but it can be bought from http://www.ladyantebellum.com/. Just A Kiss, the lead single off the album can be bought from UK iTunes right now. --> Mim Grey has returned to the studio to begin work on her second album. There is no title to the album as yet but it is looking at a January 2012 release date which will be supported by a late 2011, early 2012 tour. --> James Deane's debut album Diamonds & Hearts now has a November 2011 release date. --> Martina McBride will release her eleventh studio album - entitled Eleven - on October 11th 2011. Two singles have so far been released - Teenage Daughters and I'm Gonna Love You Through It.